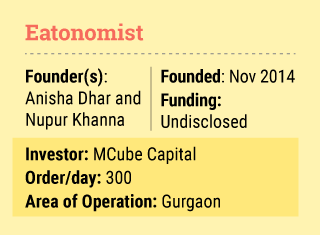 Eatonomist, an online platform that delivers meals prepared at its kitchens, has raised an undisclosed amount in seed investment from MCube Capital Advisors Pvt Ltd, as it tries to enhance operations, a top company executive told Techcircle.in. The Gurgaon-based startup, which is run by Fitmeal Solutions Pvt. Ltd, will use the capital for marketing and building brand. "We have recently revamped our website and with the funding, will soon launch an app as well," said Anisha Dhar, co-founder, Eatonomist. 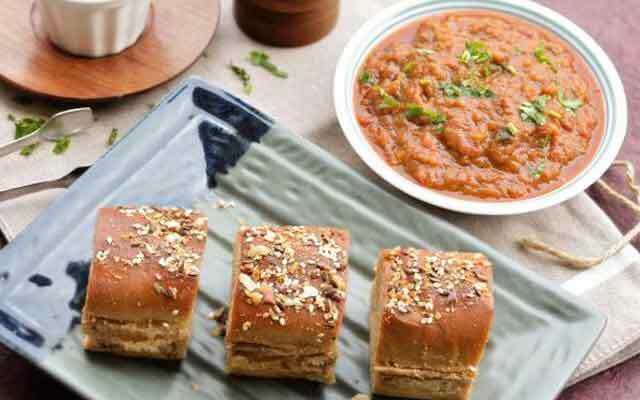 Founded in November 2014 by Dhar and Nupur Khanna, Eatonomist follows a full-stack business model wherein it controls the kitchens and delivery services. Its menu includes sandwiches and desserts besides a range of Indian foods. The startup claims to deliver calorie-counted gourmet meals. "Our recipes are lab tested to ascertain the exact amount of nutrients," said Dhar. Dhar is a computer engineer from Bangalore and has worked with consulting firms such as EY (formerly Ernst & Young) and PricewaterhouseCoopers. Nupur holds an MBA from Rochester Institute of Technology and has previously worked with EY. Eatonomist is currently operating in Gurgaon and caters to corporates. With a team of 20 employees, including five chefs, it claims to be doing more than 300 orders a day. It plans to expand its network to Delhi by the end of this year. "Eatonomist has an amazing founder team that is hardworking, creative and believes in stupendous execution" said Pritpal Lakkha, head - business development, MCube Capital. MCube8, the incubation arm of MCube Capital, has been mentoring the startup. Other firms offering full-stack food services include Brekkie, Faaso's and Box8. Some of the players in the space have elicited investor interest of late. In March, Cookaroo Food Network Pvt. Ltd, a Bangalore-based startup that aggregates and delivers freshly prepared meals from under-utilised commercial kitchens, had raised angel funding from Highland Hospitalities' MD Vijay Krishna Yadav. Earlier this year, Food-tech startup First Eat, which is run by F. E. Food Tech Pvt. Ltd, had raised $200,000 (around Rs 1.4 crore) in seed investment from an undisclosed investor. In January, FreshMenu, an online food-tech venture that delivers meals prepared at its kitchens, had raised $17 million (around Rs 110 crore) in its Series B funding round led by Zodius Technology Fund. In the same month, Bundl Technologies Pvt. Ltd, which runs online food ordering startup Swiggy, had raised $35 million in a Series C round of funding led by New York-based investor Harmony Partners and Singapore-based RB Investments. Mobile app Zeppery, which allowed users to pre-order food at restaurants and other food outlets, decided to shut shop earlier this month, barely six months after starting operations.